Ultra-low mortgage rates aren't just benefiting homebuyers. Current homeowners looking to save money on their monthly mortgage payments are taking advantage of low interest rates by refinancing. However, saving on mortgage rates isn't the only reason to consider refinancing. The act of refinancing provides mortgage holders with a number of options, and it's a good idea for all homeowners to explore these. Even if taking out a brand new mortgage to replace a current one doesn't make sense based on interest rates alone, the other opportunities refinancing provides should not be ignored. While refinancing for lower mortgage rates can affect how much money a borrower is required to pay each month on their home loan, shortening or increasing term length can have an even more dramatic effect on monthly payments. Increasing term length will result in lower monthly payments, as it gives borrowers a longer period of time to repay their loan. However, it's important to remember that longer term lengths will ultimately mean more money spent overall, as it gives interest more time to build on a mortgage balance. Additionally, shorter term lengths usually mean lower interest rates, and are better for building equity in a home at a faster pace. Many mortgage borrowers may have opted for an adjustable-rate mortgage initially in order to obtain a lower interest rate. However, refinancing gives these same borrowers the chance to lock in current low rates with a fixed-rate mortgage while at the same time avoiding the rate fluctuations that come with an ARM. This is a safer long-term decision and makes the most sense for homeowners who plan on staying in their property for a number of years. As a mortgage borrower pays off their balance, they build equity in their home. This represents the monetary value difference between what is owed on a mortgage and what a home is worth. Cash-out refinancing, which is when a homeowner refinances for a greater amount than what is owed on their home, allows individuals to access this equity in the form of a cash payment. There are a number of reasons to access home equity, whether it be to make home improvements or put money toward a child's education. Additionally, many people use home equity as a means of consolidating debt. Instead of paying high interest rates on various other debts, homeowners can switch to paying off one loan with a low interest rate. While refinancing can have many benefits for homeowners, it may not be the best decision for everyone. One way to figure out whether refinancing makes financial sense is utilizing online mortgage calculators. An online mortgage calculator will allow borrowers to plug in pertinent information – property value, current mortgage balance, current mortgage rate, length of term remaining – and find out whether refinancing suits their needs. These free online tools also allow borrowers to play around with different aspects of their mortgage, seeing how things like mortgage rate, term length and payment amount can help or harm their monthly finances. 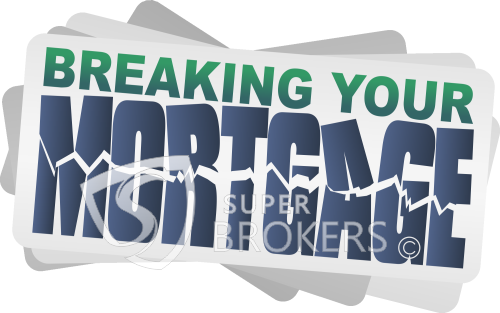 Additionally, it's important for borrowers to find out what kind of prepayment penalty they may face for refinancing. 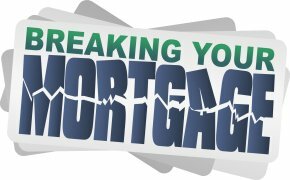 If a homeowner is charged an exorbitant fee for breaking their current loan terms, they should make sure the savings they'll be getting on their new loan are worth it. Refinancing vs. Modification: Which is best for you? 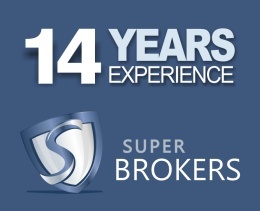 This entry was posted in Financial Planning, Residential Mortgages and tagged interest rates, mortgage, penalties, refinance by The Super Broker. Bookmark the permalink. Refinancing has become a common activity in the recent times due to the reduction in mortgage interest rates. However, there are other reasons as well which will encourage you to refinance your mortgage. Two of the major reasons to refinance a mortgage, in my opinion, is the option of changing the loan term and the option of cashing out the home equity. Both these options can make things quite easier for the borrowers. If the borrowers can shorten their loan term and pay off the loan early, then they will be able to get rid of the mortgage fast. If they increase the loan term, then monthly mortgage payments will get lowered. Bottom line, check this with your potential lender and ensure you are happy with everything before committing to any agreements. A customized process may be more efficient, as it is tailored to, or may be more compatible with the manner in which the business operates. Property owners should conduct due diligence to ensure buyers possess the financial means to pay future loan installments.